I think every school went through the same fighting game rivalry growing up. You had your Street Fighter players and your Tekken players (sorry anime fighter fans, no one cared for those games). I’ve always sided with the Street Fighter players, but now I am seriously considering joining the dark sid- I mean, the Tekken side. In an effort to avoid the mistakes of their competitors, Bandai Namco delayed the release of Tekken 7 in order to ship a complete game. Avoided everything about Tekken 7’s arcade release? Here are a few things that have been added to the game since Tekken 6. First off, there’s a brand new comeback mechanic: Rage Arts. When your character’s health drops to a certain amount, their health bar glows red indicating your Rage Art is available. This attack allows you to deal a large amount of damage in one blow, showing off a nice little animation in the process. Street Fighter IV players may be familiar with this mechanic as it is similar to Ultra attacks. You’ve also got the Power Crush moves that cannot be interrupted during the attack. Players can still take damage when using a Power Crush attack, as well as be punished by low attacks and throws, so be careful when using these risky attacks. Likewise, this mechanic is very similar to the Focus Attack system in Street Fighter IV. The final addition to the game, and arguably the most important to some players is the inclusion of Akuma from the Street Fighter series. Akuma comes with a Super Meter gauge, allowing you to perform EX attacks and of course his infamous Raging Demon attack. One of Tekken 7’s biggest selling points has to be the Story Mode. If you’ve been following the Tekken series for a while now, you’ll know all about the Mishima clan saga and how convoluted it is. Tekken 7 aims to wrap up this storyline, as well as provide answers to many unanswered questions, including the origins of Devil Gene. For fans of characters outside the Mishima clan, there’s also a number of additional side chapters devoted to everyone else. I played the first eight chapters of the Story Mode and was genuinely surprised at how much content Bandai have managed to cram into such a short space of time. 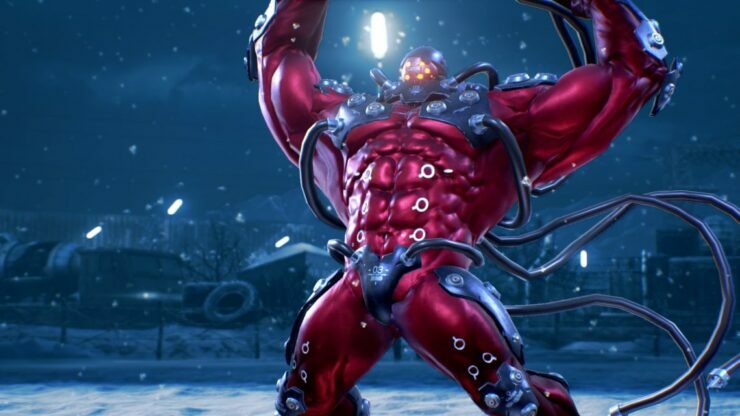 Tekken 7 features flashbacks from previous games, shows first encounters between various characters and even manages to throw weapons into a few of the fights. It’s safe to say that Tekken 7’s story is not bound by the established formula that we frequently see in fighting games, and it’s all the better for it. Thanks to Bandai’s thorough approach, I highly doubt that Tekken fans will experience the same disappointment that many Street Fighter fans were subject to last year when the game released. Tekken 7’s Story Mode was not only a joy to play through, but it’s overly complicated narrative will undoubtedly satisfy fans’ cravings for more information about their favorite characters. A feature that most Tekken veterans may scoff at is the Story Assist feature, allowing you to easily perform your character’s special moves by holding R1 and pressing one of the face buttons. As someone that isn’t too familiar with the Tekken characters, I loved this feature as it gave me an idea of what each character was capable of without having to invest time learning them properly. I’m sure many casual players will appreciate this feature as it doesn’t decrease the difficulty in any way, instead it gives players the tools they need to fight the CPU. It’s understandable that some players want to customize their characters to represent their own style/personality. Bandai Namco has embraced this by including a Character Customisation tool in Tekken 7, allowing you to go beyond the limits of what society would deem ‘appropriate’. Sure, seeing a character like Akuma in a cowboy hat and jeans is pretty funny, but you can go too far with this tool. Okay, so you want your character to wear a car as a hat. In the scheme of things, that isn’t so bad, especially when you consider the huge shower attachment that spews water from your character’s head. To be fair to the developers, this tool is entirely optional. Too much choice will never be a bad thing, even if it does look utterly ridiculous. I was excited to try VR in Tekken 7, mainly because I had no idea what to expect. I had a feeling it would be somewhat like the ‘3D Hadouken mode’ implemented in Capcom’s Street Fighter 2 sequel on the Nintendo Switch. Thankfully VR in Tekken is nothing like this, instead, you are able to play against a CPU opponent on Infinite Azure (Tekken 7’s training stage). With the added options to fight in slow motion and adjust the camera angle to your liking, players are sure to enjoy this mode for a cool five minutes. This mode felt tacked on and served no real purpose other than to be a small addition to the PlayStation 4 version. 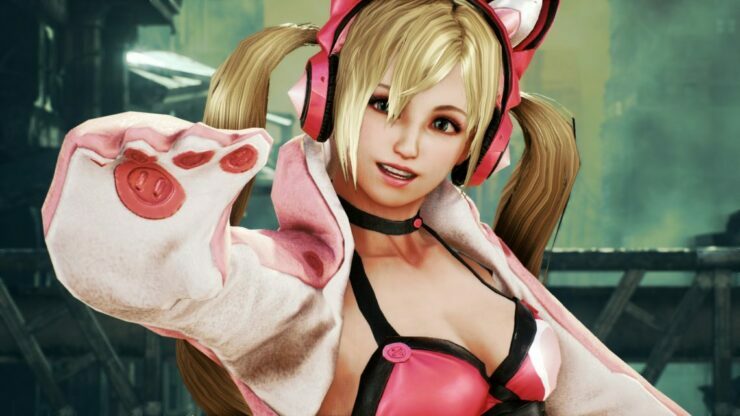 If you considered the VR to be a selling point for Tekken 7, you can safely ignore it as it isn’t worth your time. Tekken 7’s VR isn’t something that players will keep coming back to, again, most PSVR users will try it for five minutes before never playing it again (a bit like VR itself…). While on the subject of the PlayStation 4’s exclusive content, it’s also worth mentioning that Jukebox Mode and a few legacy costumes will be locked to Sony’s platform. Are these features enough to warrant you choosing the PlayStation version over the Xbox One or PC edition? Well, that depends on the performance of the other ports. From what I’ve seen, I am happy to report that the PlayStation 4 version of Tekken 7 runs flawlessly at a solid 60FPS. So far this is the only version of the game that has been verified to run smoothly. 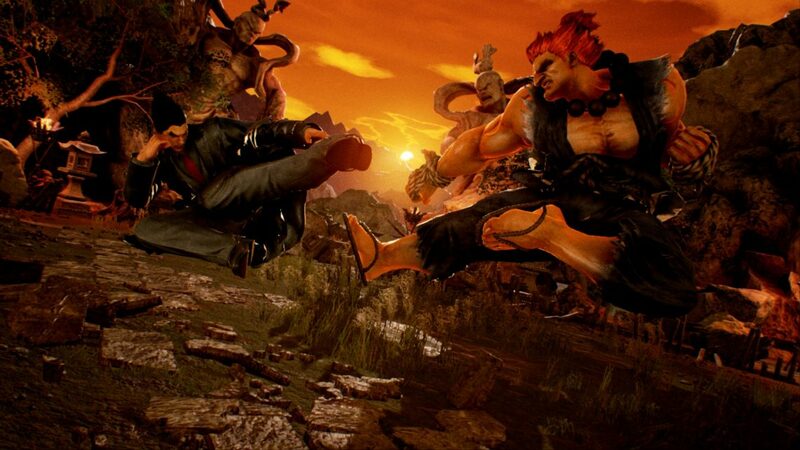 As for the other versions of Tekken 7, we’ll have to wait closer to launch to know just how well they run. Be sure to check out our review of Tekken 7 on June 2nd.